Geneva/Bratislava, June 20, 2018 – DECENT gets a fresh new look with the relaunch of their website and branding. The website underwent a complete overhaul, replacing the old design and adding various new features. Also, the company has expanded significantly since the launch of their blockchain and it became essential to communicate their expanded focus. 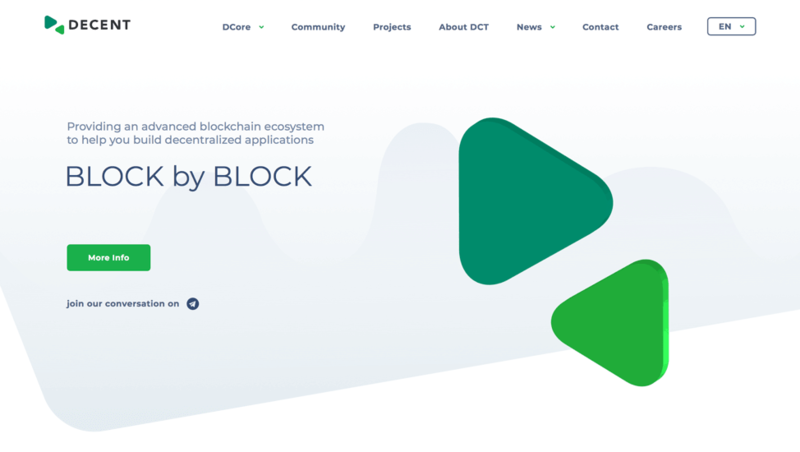 This new site illustrates that DECENT is focused on the entire ecosystem surrounding their proprietary open-source blockchain technology, DCore. DECENT’s refocused vision includes providing all the required tools and technologies for anyone, anywhere to build decentralized apps for real world use cases. The updated website reflects this mission and the company has discovered a number of opportunities to streamline the way it communicates visually. Aiming to be on the cutting edge of blockchain innovation, the company brought its teams together and made the decision to give the logo and website a significant upgrade. The company says their intention was to present an identity that is simple, functional and representative of the potential of its technology. A link to ‘Press Kit’ has also been added to the website, providing media with easy access to download press resources, including the new company logo. 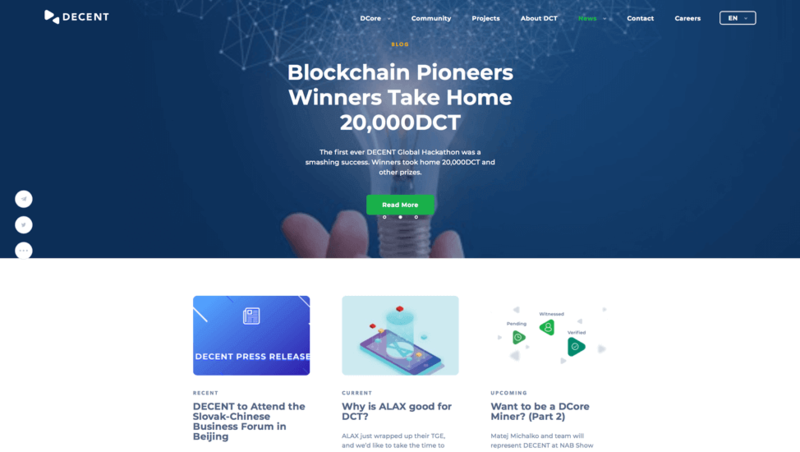 Additionally, live DCT (DECENT’s own altcoin) details have been added along with a redesigned news page, to keep visitors up-to-date on all the things DECENT is working on.